It’s a different market than it was at the beginning of 2018. Volatility has returned, even if it remains modest relative to historical levels. Previously hot stocks to buy, like Apple (NASDAQ:AAPL), are down 20% since Nov. 1, 2018. It’s a choppier, more cautious, environment. That’s not a bad thing, however. After a basically uninterrupted post-election rally, several stocks have seen pullbacks that provide more attractive entry points. Others simply haven’t received their due credit from the market. While there might be reasons for caution overall — higher interest rates, trade war concerns — more opportunities exist as well. This more and more looks like a “stockpicker’s market.” For those stockpickers, here are 10 stocks to buy that look particularly attractive at the moment. 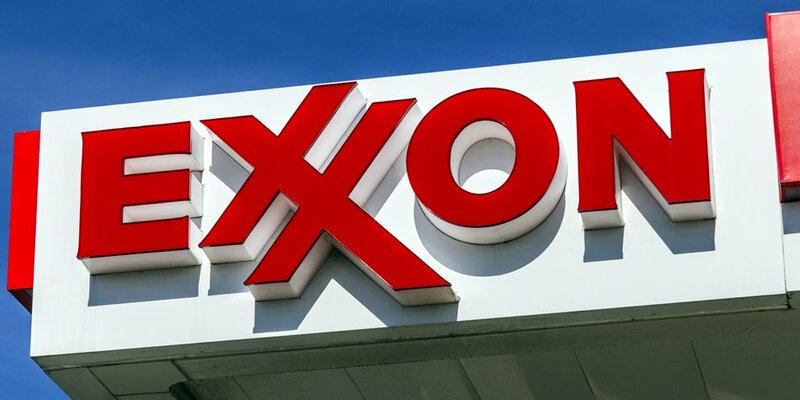 I’m as surprised as anyone that Exxon Mobil Corporation (NYSE:XOM) makes this list. I’ve long been skeptical toward XOM. The internal hedge between upstream and downstream operations makes Exxon stock a surprisingly poor play on higher oil prices. Overall, it leads XOM to stay relatively rangebound — as it has been for basically a decade now. But price matters. And XOM is at its lowest levels in more than two years after a steady decline since late January. With the dividend over 4% and a 15.9x forward price-earnings (P/E) multiple, Exxon Mobil stock looks like a value play. Meanwhile, management is forecasting that earnings can double by 2025, adding a modest growth component to the story. Obviously, there’s a risk that Exxon management is being too optimistic. Years of underperformance relative to peers like Chevron Corporation (NYSE:CVX) and even BP plc (ADR) (NYSE:BP) has eroded the market’s confidence. If Tesla Inc (NASDAQ:TSLA) can lead a true electric car revolution, that, too, could impact demand and pricing going forward. At current levels, however, the market is pricing in close to zero chance of Exxon hitting its targets. And that’s why XOM is attractive right now. A continuation of the status quo still gives investors 4%-plus income annually. Any improvements in production, or pricing, provide upside. At a two-year low, Exxon doesn’t have to be perfect for investors to score upside in XOM stock. In this market, recommending a restaurant owner, let alone a hot dog restaurant owner, might seem silly at best. 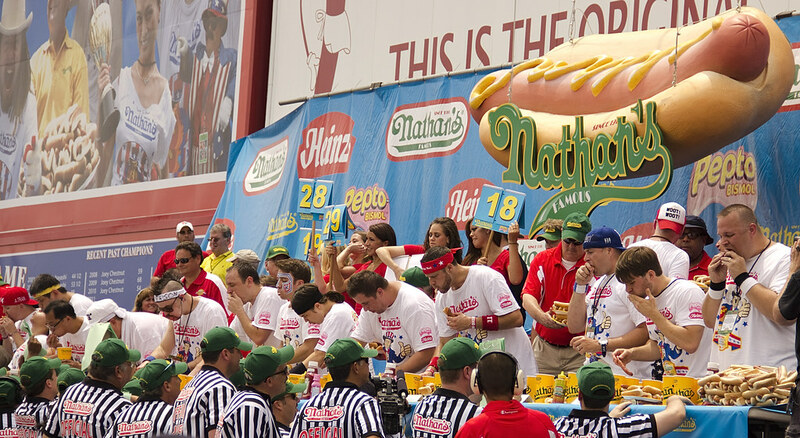 But there’s a strong bull case for Nathan’s Famous, Inc. (NASDAQ:NATH) at the moment. NATH, too, has seen a steady decline since late 2018. The stock touched a 52-week (and all-time) high just over $100 in July 2018. It’s since come down about 25%, ynet the story hasn’t really changed all that much. Fiscal Q3 earnings in February were solid. The company’s agreement with John Morrell, who manufactures Nathan’s product for retail sale and Sam’s Club operations, offers huge margins, while its bottom line continues to grow. Foodservice sales similarly are increasing. The restaurant business has been choppier, but it remains profitable. 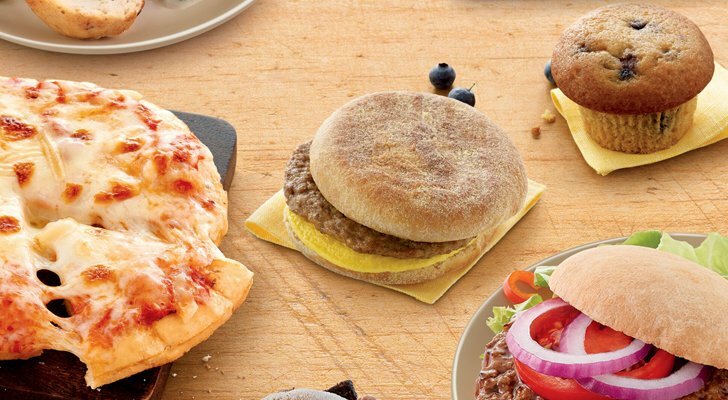 The “mostly franchised” model there is similar to those of Domino’s Pizza, Inc. (NYSE:DPZ) and Yum! Brands, Inc. (NYSE:YUM), among others, all of whom are getting well above-market multiples. All told, Nathan’s has an attractive licensing model, which leverages revenue growth across the operating businesses. And yet, at 13x EV/EBITDA, the stock trades at a significant discount to peers. Bank of America Corp (NYSE:BAC) trades at its highest levels since the financial crisis, and has gained over 120% from July 2016 lows. Trading has been a bit choppier of late — no surprise for a macro-sensitive stock in this market — and there’s a case, perhaps, to wait for a better entry point. But I’ve liked BAC stock for some time now, and, as I wrote previously, I don’t see any reason to back off yet. Earnings growth should be solid for the foreseeable future, given rising interest rates and a strong economy. BofA itself has executed nicely over the past few years. The company’s credit profile is solid and its stock has outperformed other big banks like JPMorgan Chase & Co. (NYSE:JPM). And tax reform and easing capital restrictions mean a big dividend hike could be on the way as well. And despite the big run, it’s not as if BAC is expensive. The stock still trades at less than 11x 2019 EPS estimates. Unless the economy turns south quickly, that seems too cheap. 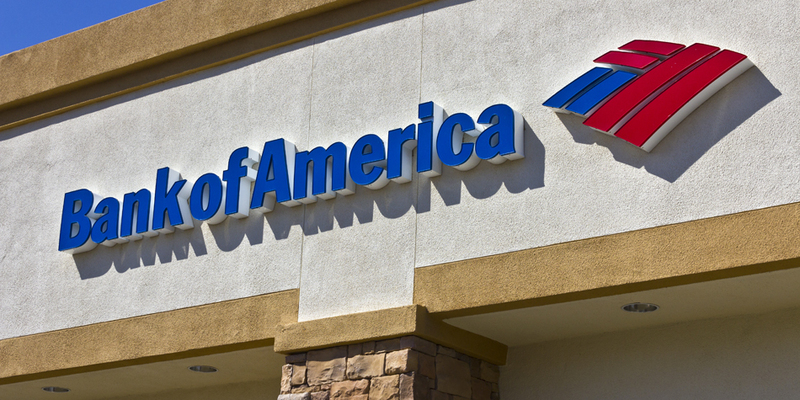 So it looks like the big run in Bank of America stock isn’t over yet. Nutrisystem Inc. (NASDAQ:NTRI) is another candidate to buy on a pullback. NTRI stock is pretty much flat so far in 2019. But there’s hope for NTRI stock. The beginning of the year is known as “diet season,” a key period for companies like Nutrisystem and Weight Watchers International, Inc. (NYSE:WTW), as many customers look to act on New Year’s Resolutions. But marketing missteps led to poor results from Nutrisystem. 2018 guidance now implies basically zero revenue growth after analysts had projected a 13% increase for the full year. Still, Nutrisystem is now priced almost as if growth is coming to an end for good. And I as argued at the time, that’s just too pessimistic. The average Street target price still is well above $40, implying nearly 10% upside. NTRI now trades at under 14x the midpoint of 2018 EPS guidance, and yields 3.5%. The valuation implies that Nutrisystem management is wrong and that that 2018’s deceleration is a permanent change. If Nutrisystem management is right and they’ve earned some credibility in leading revenue and profit to soar over the past few years then $43 still is a good price to buy NTRI. But with more than 28 million active users, Roku is a fast-growing platform deserving of its high-ish multiple. 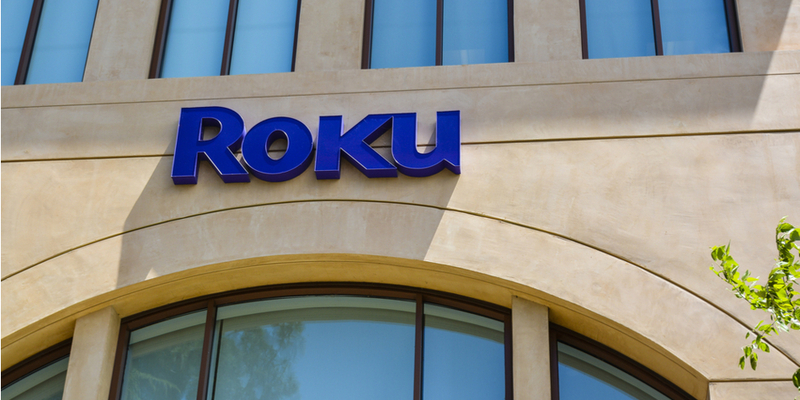 This year, Roku looks to build a true content ecosystem — and from a subscriber standpoint, already has surpassed Charter Communications Inc (NASDAQ:CHTR) and trails only AT&T Inc. (NYSE:T) and Comcast Corporation (NASDAQ:CMCSA). Again, this is a high-risk play — but it’s also a high-reward opportunity. Margins in the platform segment are very attractive and should allow Roku to turn profitable relatively quickly. International markets remain largely untapped. There’s a case for waiting for a better entry point, or selling puts. But I like ROKU at these levels for the growth/high-risk portion of an investor’s portfolio. Down 15% over the past year, Brunswick Corporation (NYSE:BC) is due for a breakout. The boat, engine and fitness equipment manufacturer is trading around $52, and despite a boating sector that has roared of late, the industry leader has been mostly left out. 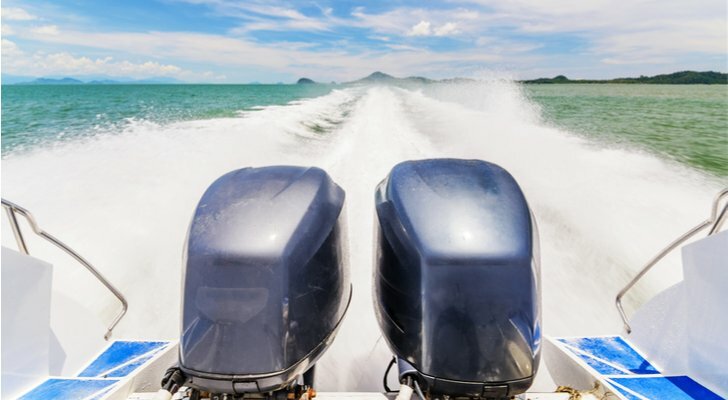 Over the last year, smaller manufacturers Marine Products Corp. (NYSE:MPX) and Malibu Boats Inc (NASDAQ:MBUU) have gained 23% and 17%, respectively. BC, in contrast, has given back 15% of its value. It actually trades at a discount to MBUU and MCFT — despite its leadership position and strong earnings growth of late. Efforts to build out a fitness business have had mixed results and may support some of the market’s skepticism toward the stock. But Brunswick now is spinning that business off, returning to be a boating pure-play. Cyclical risk is worth noting, and there are questions as to whether millennials will have the same fervor for boating as their parents. But at a 9x forward EPS, with earnings still growing double-digits, BC is easily worth those risks. And if the stock finally can break through resistance, a breakout toward $70-plus seems likely. Few investors like the pharmaceutical space at this point — or even healthcare as a whole. 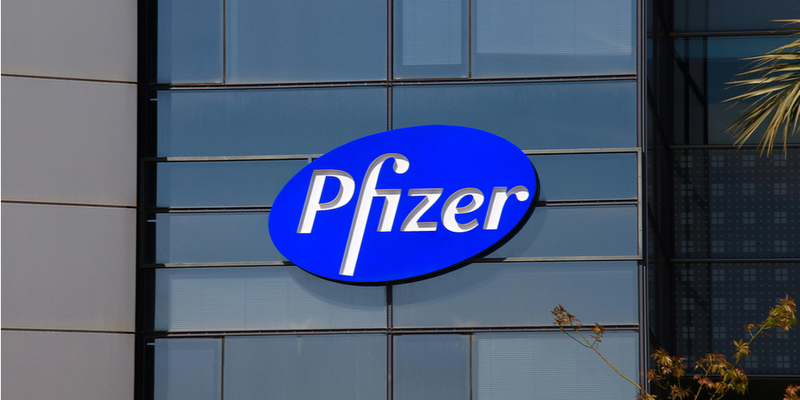 But amidst that negativity, Pfizer Inc. (NYSE:PFE) looks forgotten. This still is the most valuable drug manufacturer in the world (for now; it’s neck and neck with Novartis AG (ADR) (NYSE:NVS)). It trades at just 13x forward EPS, a multiple that suggests profits will stay basically flat in perpetuity. To top it off, PFE offers a 3.35% dividend yield. Obviously, there are risks here. Drug pricing continues to be subject to political scrutiny (though the spotlight seems to have dimmed of late). Revenue growth has flattened out of late. But Pfizer still is growing earnings, with adjusted EPS rising 16% last year and guidance suggesting a similar increase this year. Tom Taulli previously cited three reasons to buy Pfizer stock — and I think he’s got it about right. Valmont Industries, Inc. (NYSE:VMI) offers a diversified portfolio — and across the board, business has been relatively weak of late. The irrigation business has been hit by years of declining farm income. Support structures manufactured for utilities and highways have seen choppy demand due to uneven government spending. Mining weakness has had an impact on Valmont’s smaller businesses as well. Valmont is a cyclical business where the cycles simply haven’t been much in the company’s favor. Yet that should start to change. 5G and increasing wireless usage should help the company’s business with cellular phone companies. Irrigation demand almost has to return at some point. And a possible infrastructure plan from the Trump Administration would benefit Valmont as well. Concerns about the recently imposed tariffs on steel likely have hit VMI, and sent it back to support below $150. But many of Valmont’s contracts are “pass-through,” which limits the direct impact of those higher costs on the company itself. Despite uneven demand, EPS has been growing steadily, and should do so in 2019 as well. And yet VMI trades at an attractive 16x multiple — a multiple that suggests Valmont is closer to the top of the cycle than the bottom. That seems unlikely to be the case, and as earnings grow and the multiple expands, VMI has a clear path to upside. American Eagle Outfitters (NYSE:AEO) is one of the, if not the, best stocks in retail — and that’s kind of the problem. Mall retailing, in particular, has been a very tough space over the past few years. And it’s not just the impact of Amazon.com, Inc. (NASDAQ:AMZN) and other online retailers. Traffic continues to decline, which pressures sales and has led to intense competition on price, hurting margins. But American Eagle has survived rather well so far, keeping comps positive and earnings stable. And yet this stock, too, trades at around 12x EPS, backing out its net cash. And American Eagle has an ace in the hole: its aerie line, which continues to grow at a breakneck pace. The company’s bralettes and other products clearly are taking share from L Brands Inc (NYSE:LB) unit Victoria’s Secret. And the e-commerce growth in that business, and for American Eagle as a whole, suggests an ability to dodge the intense pressure on mall-based retailers. In short, American Eagle isn’t going anywhere. There’s enough here to suggest American Eagle can eke out some growth, and a 2.68% dividend provides income in the meantime. 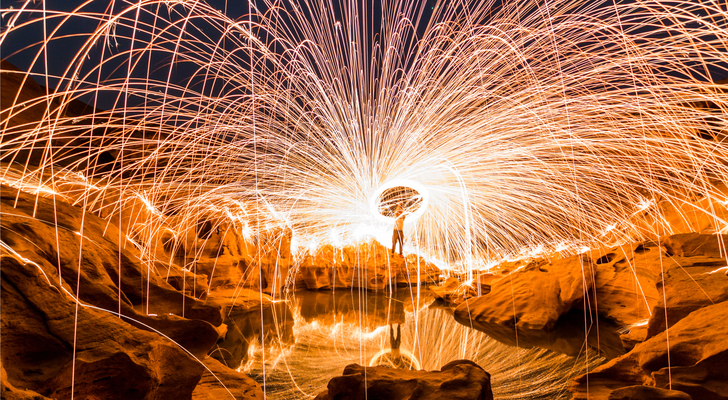 The stock already is recovering, being one of the only on this list with a positive chart over the past year, and AEO stock should continue to perform in 2019. Longer-term, there’s still room for consistent growth and more upside. 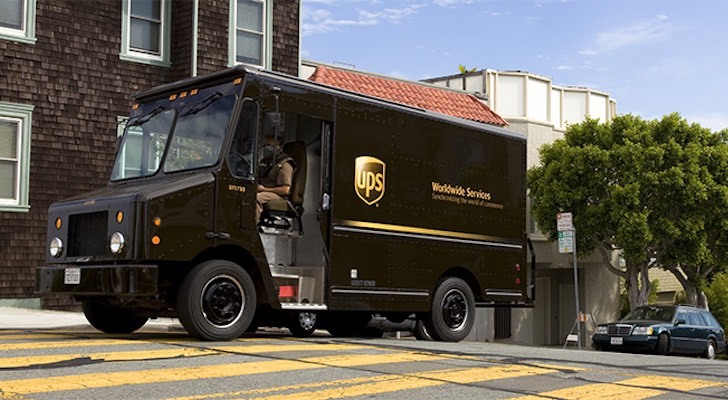 United Parcel Service, Inc. (NYSE:UPS) fell when the broad market did in February 2018 — and simply never recovered. A disappointing Q4 earnings report, in which investors saw signs of higher spending, drove some of the declines. But UPS stock wound up falling 22% in a matter of weeks — which appeared to be an unjustified selloff. UPS is going to have to spend to add capacity, and in this space, too, there’s the ever-present threat of Amazon. But UPS is an entrenched leader, along with rival FedEx Corporation (NYSE:FDX), and it at worst can co-exist with Amazon. Ecommerce growth overall should continue to increase demand; there’s enough room for multiple players in the global market. Meanwhile, the selloff and benefits from tax reform mean that UPS now is trading at just 12.9x the midpoint of its full-year guidance. And the stock yields a healthy 3.47%. Investors clearly see a risk that growth will decelerate, but UPS stock is priced as if that deceleration is guaranteed. As of this writing, Vince Martin is long shares of Exxon Mobil and Nutrisystem. He has no positions in any other securities mentioned. 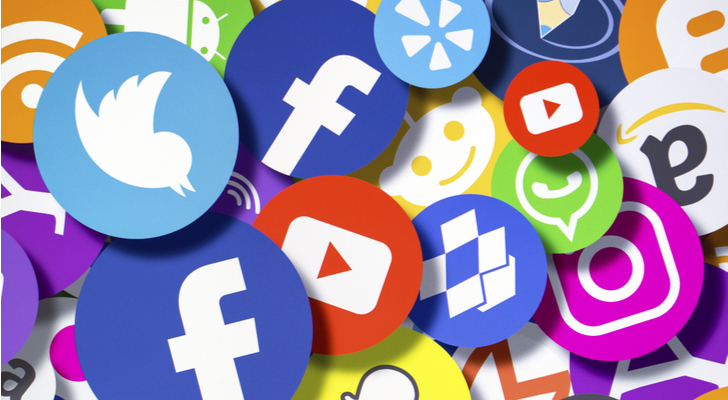 Article printed from InvestorPlace Media, https://investorplace.com/2019/03/the-10-best-stocks-to-invest-in-right-now/.